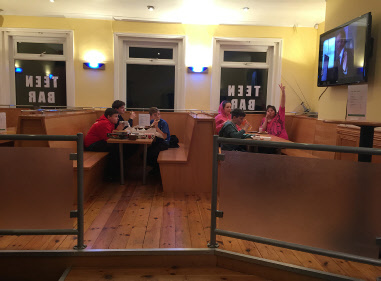 The Teen Bar is held in an American style coffee bar and games room which provides a safe environment for young people to ‘hang out’ with their friends, especially on cold, dark winter nights. 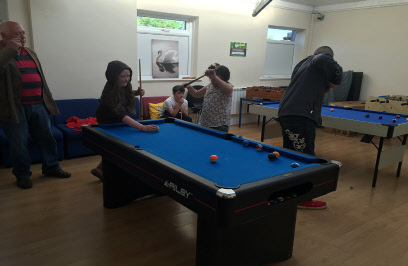 The games room/dance studio is equipped with a pool table, air hockey table, table soccer and games consoles and the main coffee bar has a large screen TV which plays chart music videos and film DVDs and has a Karaoke machine. 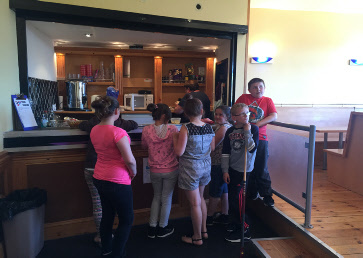 Snacks and hot/cold drinks are available for a small charge and there is also a tuck shop. Free entry & FREE GREGGS or KFC! Tuck shop, snacks and drinks also available. We hold regular sessions on different subjects relevant to the age groups such as health, drug and alcohol awareness and other issues and help/advice/support is always available from the Centre staff. 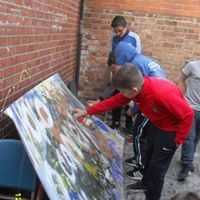 Our young people themselves have a major input into the activities and resources provided and we welcome suggestions from them for consideration. There are a wide variety of activities and trips planned for the school holidays - come along and find out what is on offer! 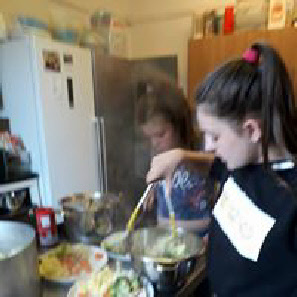 We have recently held a number of Art and Drama projects and more are planned for the coming months.